We deliver video brochure marketing campaigns to ensure our clients get their voice heard. Our creative team is based in the heart of London. In order to achieve the best results, we first need to understand your business objectives – who your video brochure is intended for, what action you want your target audience to take once they have viewed it, and what results you want to generate. We can then agree a budget for your video brochure and discuss content. You may have videos, that have been developed for your website or for other marketing activities, which you want to include. On the other hand, if you don’t have any existing materials, we can create new video content. We can write the script, find actors or presenters if required, and assemble a film crew and production equipment to shoot the video. Once the footage is gathered, we can edit the video content of your brochure, introduce graphics, such as titles and captions, and incorporate any branding artwork. 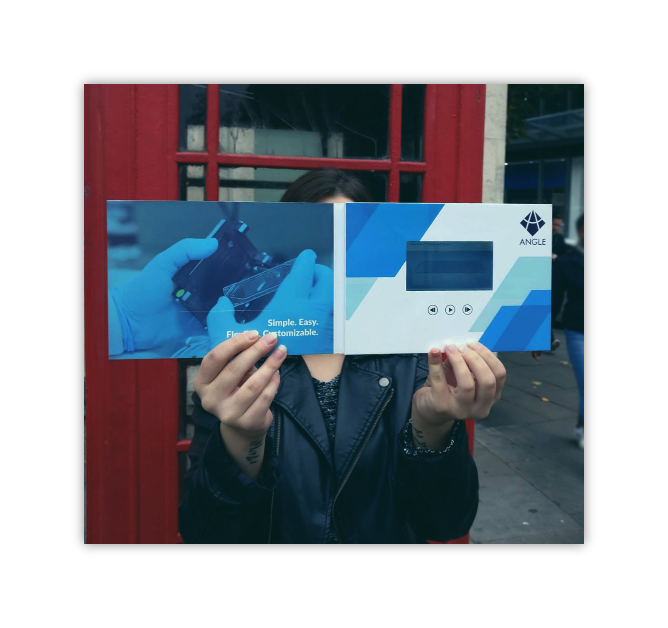 We have the expertise in our London office to help you devise a marketing strategy, so that your video brochures reach your target audience and deliver on your objectives. Successful marketing ensures that your video brochure is not only viewed but, where appropriate, shared, commented on, and used to enhance your brand. Video marketing is an effective way of connecting with new customers, developing existing customer relationships, and building trust and loyalty. Recording your key messages on video – through face-to-face interviews with senior members of your company, or with satisfied customers, or through a formal presentation – ensures consistency of tone and content. Existing PowerPoint presentations can be adapted and mixed with video interviews to ensure that facts are accurate and up-to-date. This is particularly important if you work in a sensitive area or are sharing confidential information. 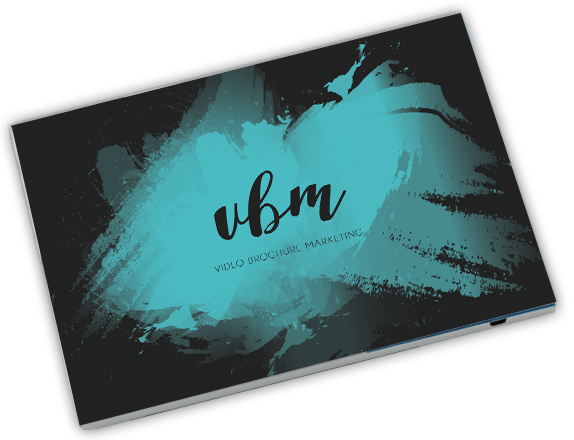 Unlike printed brochures the video marketing brochure can easily be updated and edited to reflect latest data or developments. 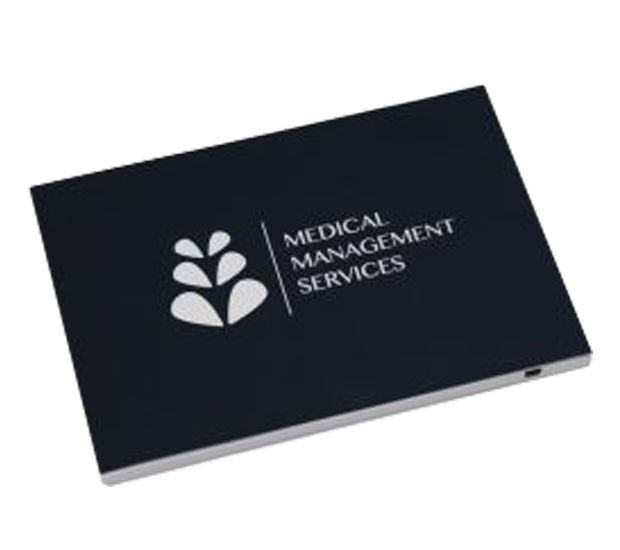 If you are communicating classified information to specialists – such as doctors, financial experts or security service personnel – your video brochures can be password protected. For consumer and retail clients, whose video marketing strategy might be to increase brand awareness and drive customers to online shopping, video brochures are an excellent way to reach a wide audience. 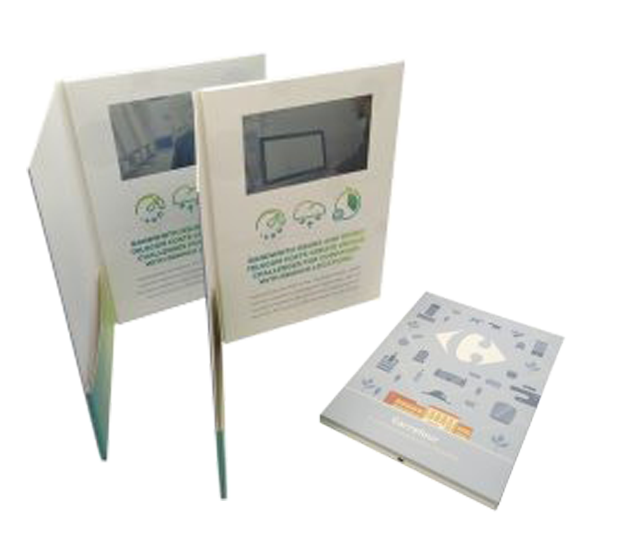 While printed marketing materials are often discarded once they are read, the digital brochure is more likely to be kept and shared with friends and family. It can also be viewed by more than one person at a time. 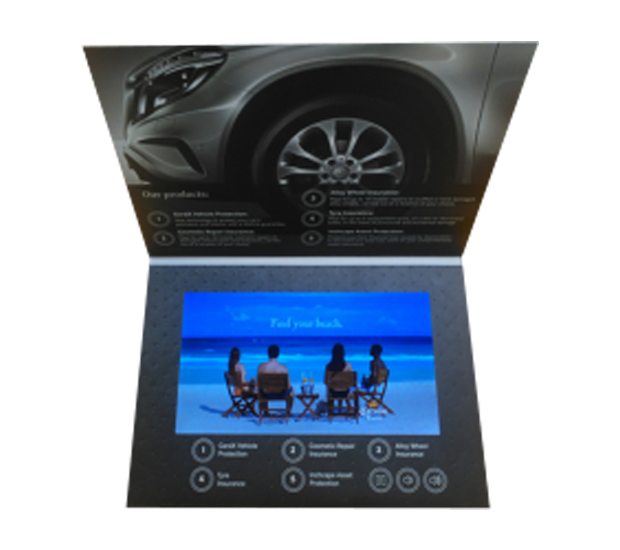 There are several video options to include within a brochure, depending on your marketing objectives. A promotional video for your company or brand can be used to engage, inform and entice. For those with technical messages to communicate, an explanatory video might be more appropriate, designed to show how your product or service will help solve your customers’ problems. Animation and motion graphics can be particularly effective in getting these messages across. Testimonial videos endorsing your business or products from those who have benefited from them are a powerful marketing device. Testimonials can establish the quality, performance and reliability of your products or services. 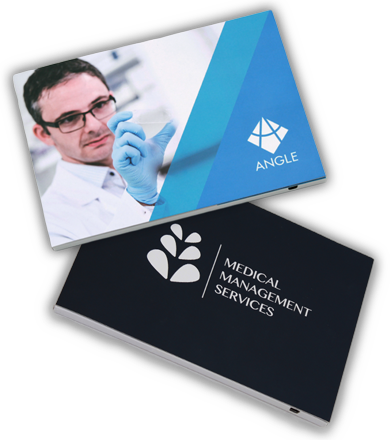 Whether you choose to communicate your messages on our largest (10.1 inch) or smallest screens (business card) it is vital that the quality remains the same. 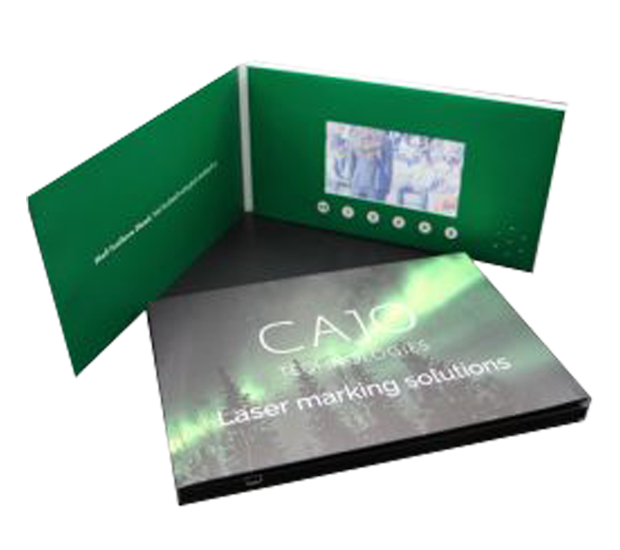 Our video brochure production process is compliant with consumer safety regulations. 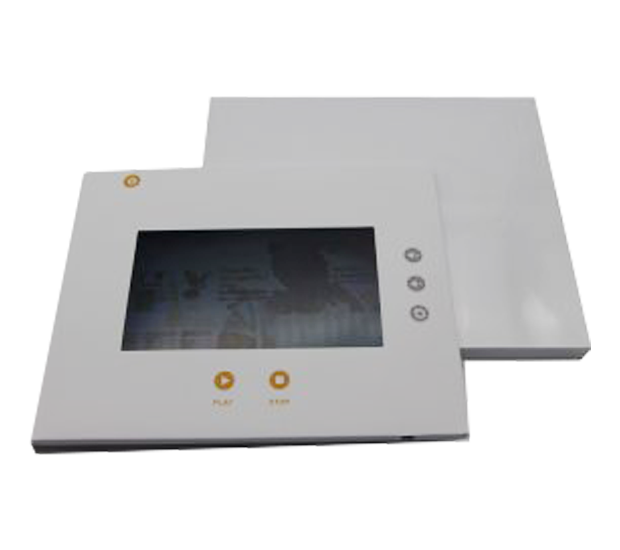 To increase efficiency all video brochures are produced with advanced and innovative equipment. 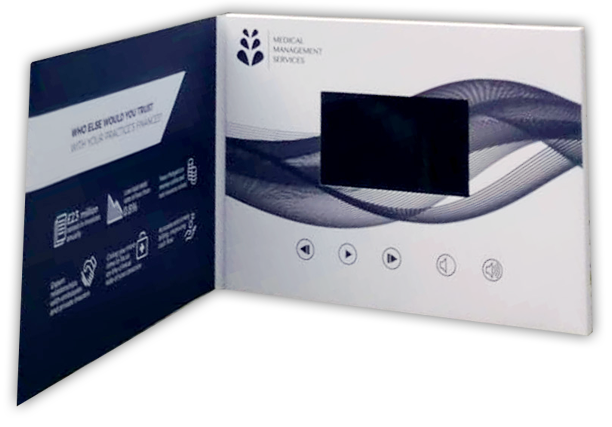 We work closely with your business and our manufacturers to ensure that your video brochures are delivered to our high quality standard.